After some lush grub at Aqua and a great night out with chums I wasn't expecting to get a call out to work on the way home this morning. Spending the afternoon at sunny Littleton trying to locate the cause of the works failure wasn't quite the after party I had planned... but we got it sorted eventually, having deployed all the tricks of the trade to find the fault. I finally made it home just as the sun began to set. I've had better Saturdays. It was a good Friday night out though. Didn't really feel up for it before hand, what with all the turmoil at work but I'm glad I went. It was a good laugh. and no new tape was required elsewhere... A better, less hectic day all round. Actually managed to get some work done. My calf muscles are still really tight and sore but easing. Should be okay by the weekend and hopefully an easy run in the mountains. Talk about coming back to fires to fight on all fronts. The problems didn't stop coming in. Everyone more urgent than the previous. With much 'sticky tape' we got things fixed but it highlights just how thinly my team is spread - I say my team, it's not really 'my' team, but we are spread thin. With the restructure and reduction in numbers we are only going to be spread more thinly - and we can only stretch so far.... And don't mention my 'zero policy' inbox. My email backlog is going to take a week to clear. But all good things must come to an end. I've hardly given a thought to the turmoil that is work during the last five days and I feel all the better for it - apart from my quads and calf muscles which are still quite sore. I've taken it all very restful today. An easy half hour on the exercise bike to gently work the sore muscles. Harvested the last of this years chilli crop and pruned the plants back ready to over winter and harvested the last of the tomatoes. Might make some more tomato chutney as the latch was lush. The journey home was pretty good. The plane didn't crash and there were no delays - result. Feeling really knackered though. Going to sleep well tonight me thinks. More details of the race itself. I took it out too hard. There was a cut off at the far end of the course, 15k out - and was slightly worried of missing it! As it turned out I had more time than I estimated and so should have gone out a little easier. That said I would still have died but maybe not in such a calamitous fashion. And for information, Channel 4 were out filming the race, to be shown sometime in November. There probably isn't much likelihood I'll make the final cut but it's probable the second woman will. That was one of the hardest race I've ever run. 35km with 2850m of ascent. And me such an under trained, unfit lard arse. I very nearly called it quits after the descent from penultimate penultimate ascent. The head said I'm too knackered to continue, there being a lower altitude way back from where I was but the heart said sod that. Man the hell up. I'm glad I completed but by god I suffered. 100th place. A late afternoon nap awaits - especially since I got almost no sleep last night with some bloke in the dorm snoring for Britain. 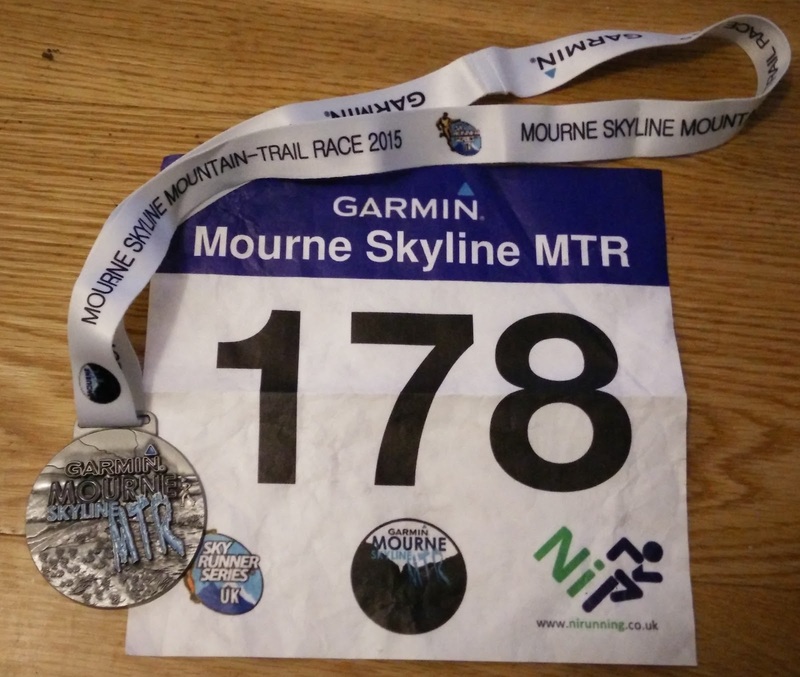 On the upside, this weeks Mourne Skyline race is going to be expectation free. There's no pressure - other than getting around before the cut off... Plus I have five days away from work - that's a pretty big upside in my book in the current climate of fear and uncertainty! Lovely way to spend a Sunday. Another few hours spent traipsing though the woods of Trellech Common. The good news, the courses are - barring any late issues - planned. It has been a journey of discovery that's for sure! I've been seeing the water pressure in the boiler drop for a month or so but haven't been able - until now - to find where it was leaking. Turns out it was due to a rusty expansion tank. And on finding said rusty bit it gave way as I examined it causing much water to p!$$ out all over the floor. Luckily I had a voluminous receptacle within reach as I stuck my finger into the hole - like the little boy and the dyke - ooh, er matron. Total disaster was avoided but I have a feeling things might start to get expensive. What else might be reaching end of life within the dark depths of the boiler? Hopefully I can get away with just replacing the expansion tank. Fingers crossed. That's Fan Fawr Saturday.... Didn't have a terrible run. Wasn't great either. At least I didn't feel ill this week. After the race a few of us went for a pootle up Corn Du. Well after an hour and a half drive to get there it feels wrong to only run a mile up a hill and a mile back down again... Not a bad way to spend an autumnal Saturday afternoon. We even got some sunshine!